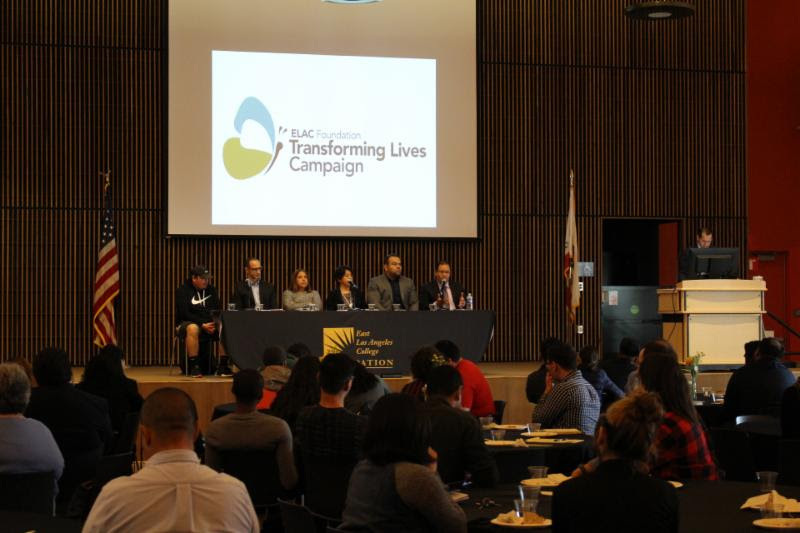 East Los Angeles (CA) – East Los Angeles College Foundation and ELAC participated in the global day of giving, known as “Giving Tuesday,” by hosting a panel discussion titled: “Homelessness Crisis Among California CommunityCollege Students.” The event was organized by the ELAC Transforming Lives Campaign (TLC) committee. 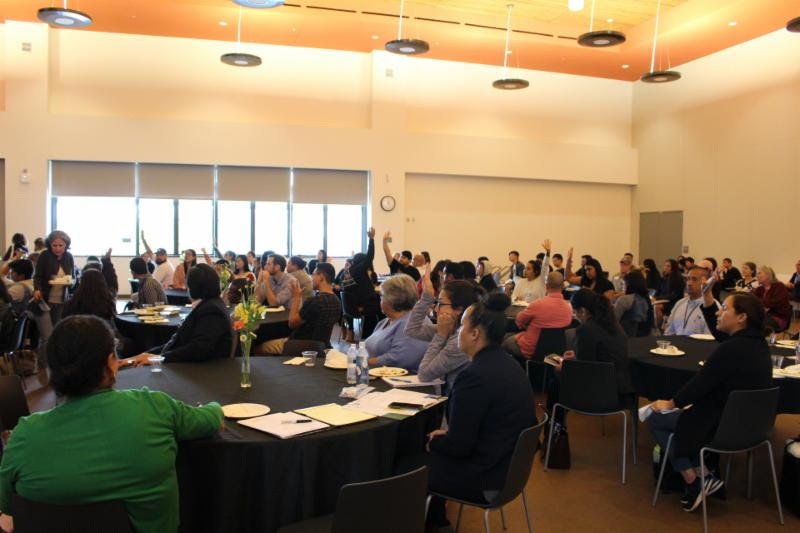 Over 200 students, faculty, staff, and community members were in attendance. The panel was moderated by Paul De La Cerda, Dean and Executive Director, Institutional Development and ELAC Foundation. The panelist included: LosAngeles Community College (LACCD) Trustee David Vela; ELAC President Marvin Martinez; ELAC student Javier Santibanez; Celina Alvarez, Executive Director of Housing Works; Cecilia Cruz, ELAC Student Health Center Coordinator and TLC Coordinator; and Andrea Marchetti, Executive Director of Jovenes Inc.
Panelists answered questions prepared by ELAC’s Associated Student Union. 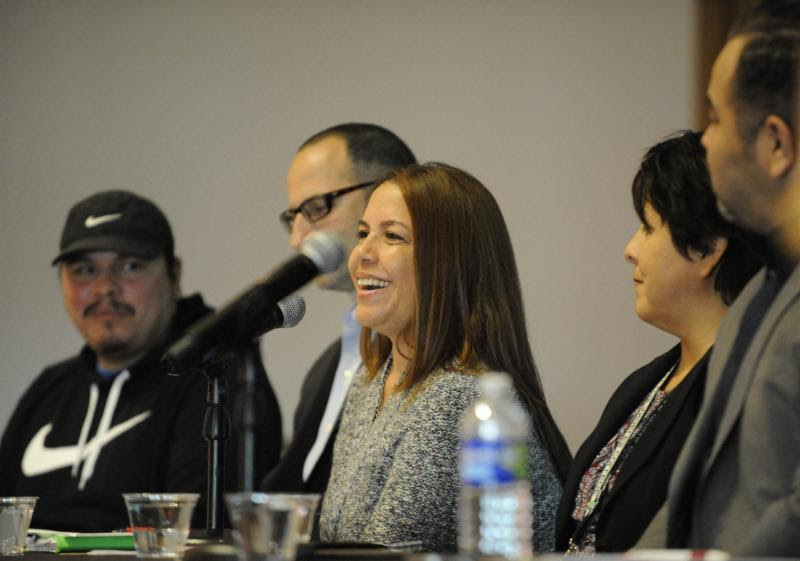 Panelists discussed projects and initiatives launched in the community to combat homelessness. From advocacy, legislation, community programs, to local initiatives—panelists shared resources available to students who are facing housing insecurity. 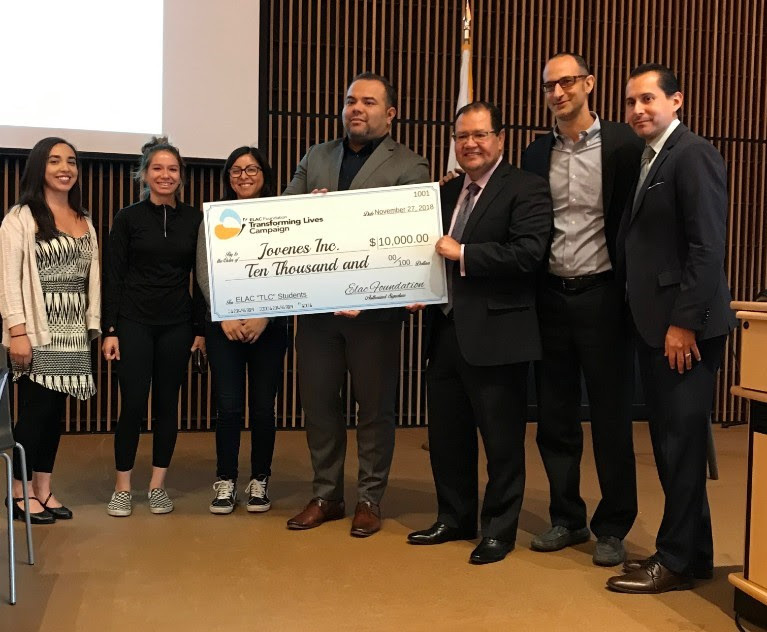 During the event the ELAC Foundation’s Transforming Lives Campaign (TLC) presented a $10,000 check to Jovenes Inc. to provide stable housing for two ELAC students. “TLC was launched to provide the entire ELAC community an opportunity to directly support our students through annual giving. The ability to provide stable housing for students could not be possible without the support from faculty, staff, and our community,” said Dean Paul De La Cerda. According to an L.A.Times article “1 in 5 L.A. community college students is homeless.” These students are: veterans who bravely served our nation; single parents trying to raise their child/children while attending college; foster youth facing challenges that make it difficult and sometimes impossible to considercollege education; and Dreamers pursuing the “American Dream” of becoming the first in their families to be college graduates. The purpose of the event was to raise funds and awareness of the significant challenges many of our students are facing—far beyond the cost of textbooks or tuition, challenges in the areas of housing, clothing, transportation, and hunger. 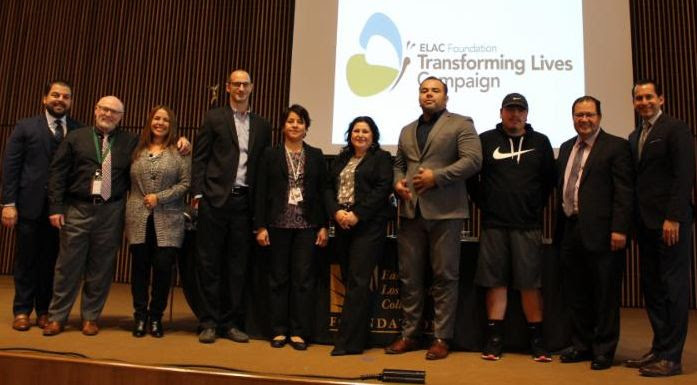 Find out more about TLC and how to give by visiting transformalife.elac.edu.